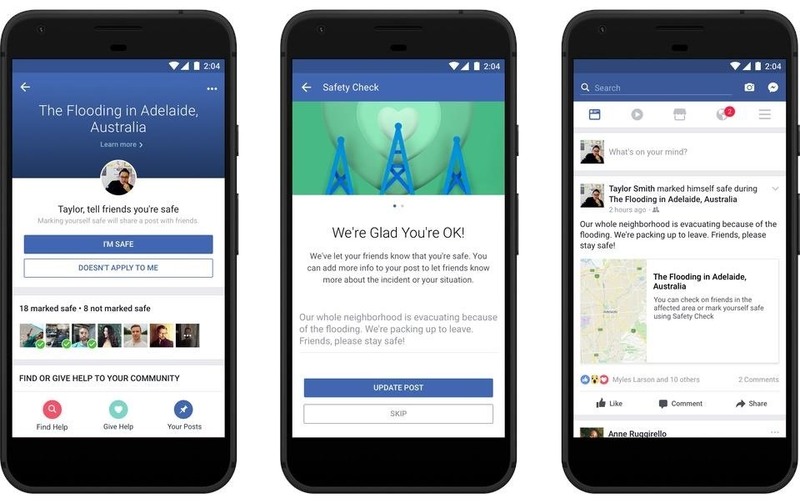 Facebook's 'Safety Check' is a useful social media function — it provides users a comfort that in the event of an emergency, they can let friends and family know they are safe. While certainly not perfect, the service is now essential during disasters and tragedies. That service is finally getting some improvements, as Facebook rolls out new features and updates. In an announcement on Facebook's Newsroom, Facebook will bring more utility to Safety Check. New additions include being able to start a fundraiser right from a user's Safety Check status, as well as getting crisis descriptions from NC4, Inc., Facebook's third-party crisis reporter. Updates to current features include expanding Community Help to computers, a feature which allows users to find ways to help in the event of an emergency, as well as being able to write a short message on your Safety Check status, giving friends and family additional knowledge of your situation. Facebook claims that Safety Check has been activated more than 600 times in the past two years, and has alerted friends and families more than a billion times over. While Facebook may not be many people's favorite social media platform, it's hard to argue about the good Safety Check has done for people all over the globe.